The noted Norwegian puppet enthusiasts in Casiokids may seem goofy, but the sweetly melancholic jams on their U.S. debut Topp stemning p� lokal bar are serious business. These songs have been workshopped and refined to peak potential, with an end result so breezy and tropical in feel yet executed with icy, merciless precision. There's a lot to love here - it's an alternate universe for American pop fans, similar to the familiar-but-new sounds that Phoenix conjures up. Except: you can dance to this. Topp stemning p� lokal bar encompasses a little bit of everything; the band's default is straightforward, synth-based squelch pop (dig the propulsive "Fot i hose," which has been used in video game soundtracks for a very good reason), but they regularly veer off into primitive, shambolic electro-folk that wouldn't sound out of place on oh, an Animal Collective record. On the opening "Gr�nt lys i alle ledd" they even (briefly) spaz out like a real rock band. The lyrics, sung in the band's native tongue, could be about anything to us yanks, and that's part of the charm--these songs feel like foreign lullabies, goosed with a studio full of eccentric instruments. There's the standard electronic doodads alongside pleasantly old-fashioned analog sounds: chimes, theremin. The sole chief complaint here dogs most catchy bands: for all the indelible hooks, there's not much going on below the surface. 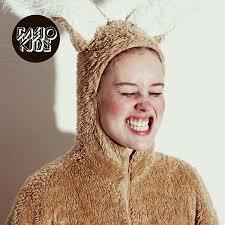 Casiokids probably sound best blasting from a luxury vehicle with AC on full blast; it's lifestyle music, with an emphasis on "style." Gripes about their possible artlessness aside, I've subjected this record to an inhuman number of spins without tiring a wince. Bands who start parties where everyone's invited are by nature not challenging enough. But having mastered the basics of universally pleasurable sound, Casiokids could take themselves anywhere from here and we'll be ready.